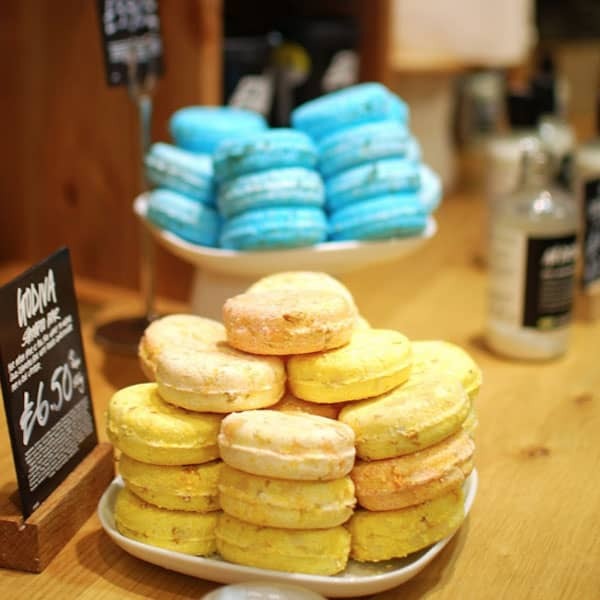 In the era of the bath bomb, Lush has made huge headlines for being the place for all of your bath and beauty needs. 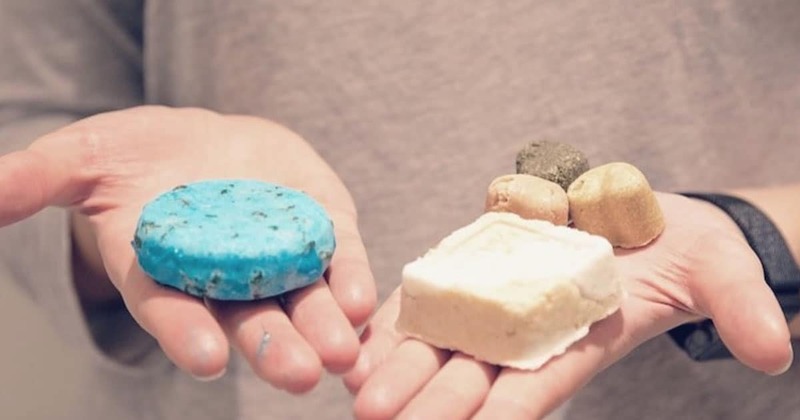 Consumers want everything to be Instagram-worthy, even their bathroom products, which proved to be the perfect niche for Lush’s brand. Best known for their crazy-colored bath bombs and nutrient-packed face masks, the brand has gained an enormous audience, and their admiral business philosophies are making waves in the market. All-natural, ethically-sourced, 100 percent vegetarian, and entirely handmade, Lush’s products themselves are super satisfactory. Even better? Their mission to keep products “naked,” as demonstrated by one of their new debuts, bottle-less shampoo. Think about your shower right now. If you were to peel back the curtain, would your products all be kept in hefty plastic bottles? Most likely, yes. With the majority of people showering and shampooing their hair everyday, it makes sense that nearly 552 million plastic bottles from bathroom products wind up in landfills each year. Pair that with the millions of plastic bottles from drinking water, and it’s no wonder that our oceans and landfills are filling with plastic at alarming rates. When you’re buying shampoo, you aren’t thinking about the plastic container. Instead, you look for ingredients that are high quality, smell fantastic, and will do the most for your hair type. Take plastic out of the equation, and you can still get the product you know and love, while dramatically reducing waste. Plastic waste is an epidemic and bottle-less shampoo can be a major solution. Lush gets that. Their mission of keeping products “naked” is to get rid of packaging completely. It’s radical, and it’s brilliant. When you step into one of their stores, you’ll see bins and shelves stocked full of their dreamy products, but all out in the open without the unnecessary packaging. Everything comes in plastic. Your food, your water, your clothing… The list goes on. 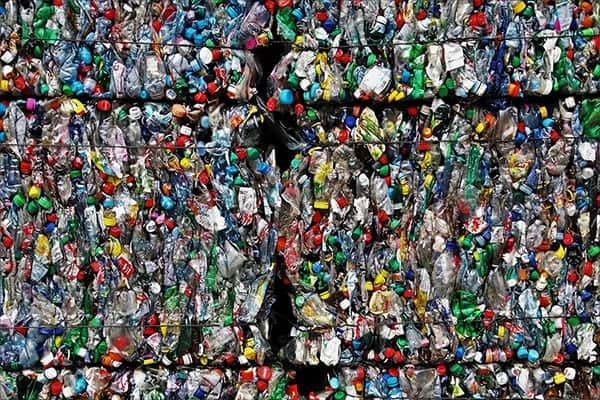 It would be one thing if the plastic was consistently recycled after use, but the sad reality is that the amount being recycled is only about 10% of the amount being used and produced. For years now, scientists have been able to prove the presence of microplastics in birds and fish and whales, but now the stakes are even higher. Just a few weeks ago, a National Geographic article came out saying that microplastics have now been discovered in humans, a sad reality that was inevitable, given the amount of plastic waste globally. Alarm bells are finally ringing now that humans are becoming easy targets for plastic contamination. Plastic waste is still not decreasing, however. Let’s put things into perspective. We’ve reached a time where humans purchase 1 million plastic bottles per minute, of which 91% are NOT recycled. If we’re not recycling almost the entirety of the plastic water bottles we use worldwide, what are the chances that plastic shampoo bottles are being recycled? Slim to none. With 12 tantalizing scents to choose from, the transition to Lush’s bottle-less shampoo bars is a no brainer. It may seem a little odd to lather up your locks with a soapy bar instead of a plastic pump, but the results are the same. Plus, these soap pucks are super concentrated, which means that one bar will last up to 80 washes. That means that your little bar has the cleaning power to outlast 2-3 bottles of the liquid stuff. The “naked” approach doesn't end with shampoo bars either. Lush also has body washes that can clean you up and balance your body’s PH level, unlike traditional bars of soap. You can also find body conditioners, shower jellies, and shower gels. Not everything is freed of the bottle yet, but your mind can rest assured that all of Lush’s plastic bottles are 100% recycled and recyclable. Sounds like a win-win. It’s easy to make excuses when it comes to plastic waste. Maybe you think that your water bottle being tossed in the trash won’t really make a difference in the grand scheme of things. Sadly, this mindset isn’t an uncommon one, and it’s adding up. According to National Geographic, 40% of the total amount of plastic produced is used for packaging, which is used just once and then thrown away. That means that when you don’t recycle that water bottle, shampoo bottle, or other plastic container, you’re adding to the problem. So yes, your choice not to recycle does actually count. Changing your routine from liquid shampoo to bar shampoo is a small price to pay for the improvement of the planet. There are tons of easy changes in your daily routine that can greatly reduce the amount of plastics used and tossed out, such as switching to a reusable water bottle, taking totes to the grocery store instead of using plastic bags, and packing your lunch in reusable containers. Single-use and disposable plastics pose a huge threat to our beaches and oceans. Plus, we live in a place that makes going green even easier. 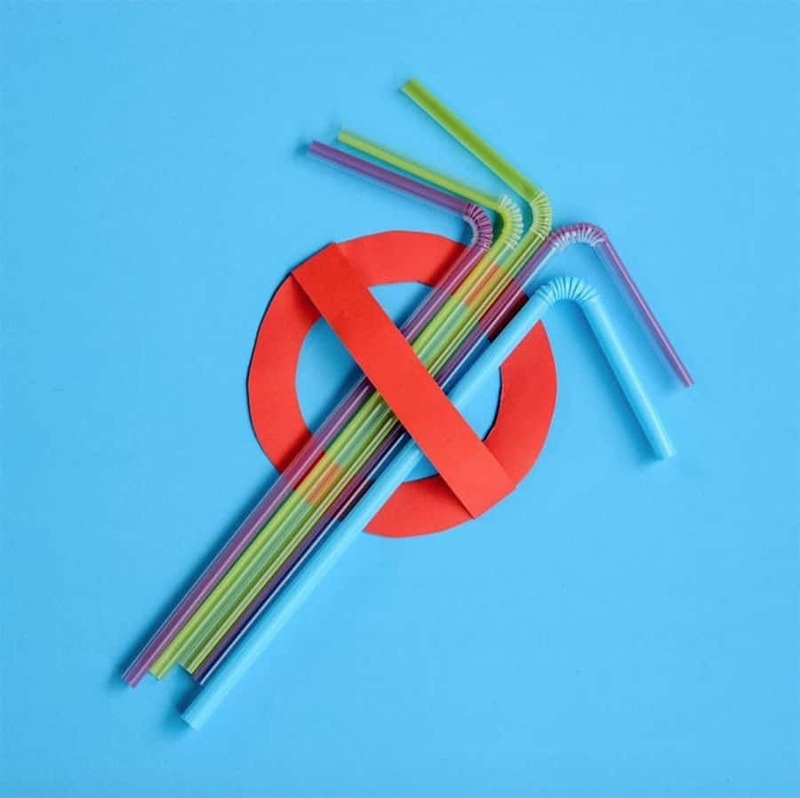 Just this year, Seattle became the first city in the United States to ban plastic straws and utensils. It’s going to take a lot more than banning single-use plastics to rewind the plastic epidemic, but at least it’s a start. So next time your shampoo bottle squirts out its last few drops, consider changing up your routine with a shampoo bar. Your choice to ditch plastic packaging will make a difference, and who knows; Maybe you’ll be inspired to take action to save the environment in other ways. It’s time to take plastic usage seriously, and inspire and educate everyone else to do the same.